1 : To get the most volume and oomph, work with your natural texture. Don’t waste your time blow drying your hair smooth to then add the curls. Let your hair air dry, even if it’s messy and frizzy, and use that as your foundation. 2 : Take a few sections around the top of your hair and wrap them around a curling iron. When you remove the curl, gently pull the hair down. Don’t curl your whole head! to keep this look more natural. 3 : Once finished, tousle your hair with your hands and fluff it up! 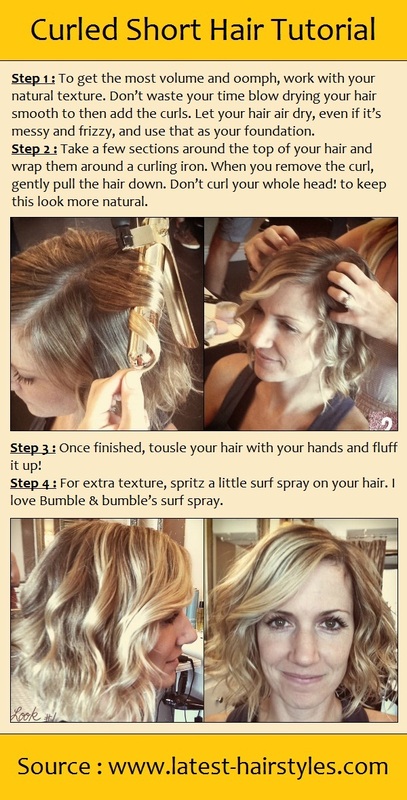 4 : For extra texture, spritz a little surf spray on your hair. I love Bumble & bumble’s surf spray.